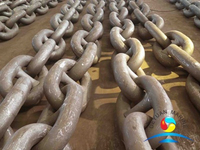 When we look in the boat we can see the Marine Stud Link Marine Anchor Chain is straight .But there is a section under water that is close to the sea floor (which is actually attached to the bottom of the sea). 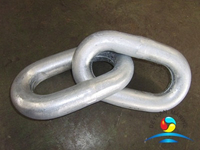 The Anchor provides grip .The influence of the external load on the positioning of the ship by passing the Marine Stud Link Marine Anchor Chain to the ship to resist the current and wind waves. 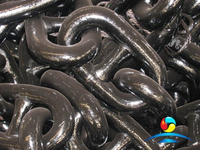 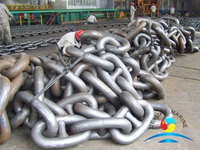 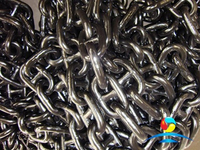 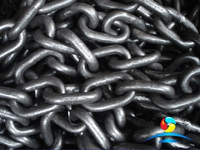 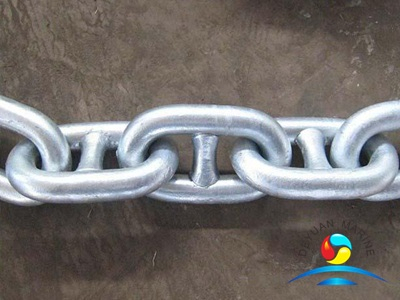 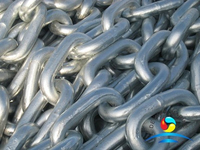 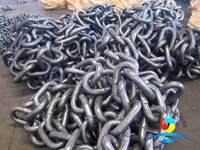 The anchor chain is connected by many links and is represented by a chain diameter (mm).So the chain divided into studlink chain and studless chain .The AM1 Stud Link Marine Anchor Chain can be forged by forging, casting and welding.The Cast Steel Stud Link Marine Anchor Chain consists of a number of "shackle" .Each section is 25.0 ~ 27.5 meters long. 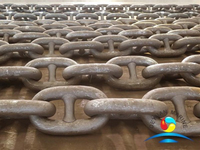 The section is connected with a link or shackle.After we collect the anchor .The anchor chain is stored in the anchor chain of the bow with protection . 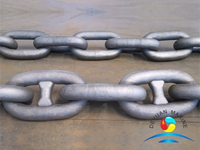 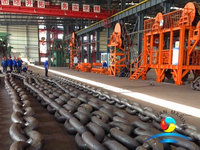 Deyuan Marine has many type of Stud Link Marine Anchor Chain for sales .If you need more information please contact us without hesitate .